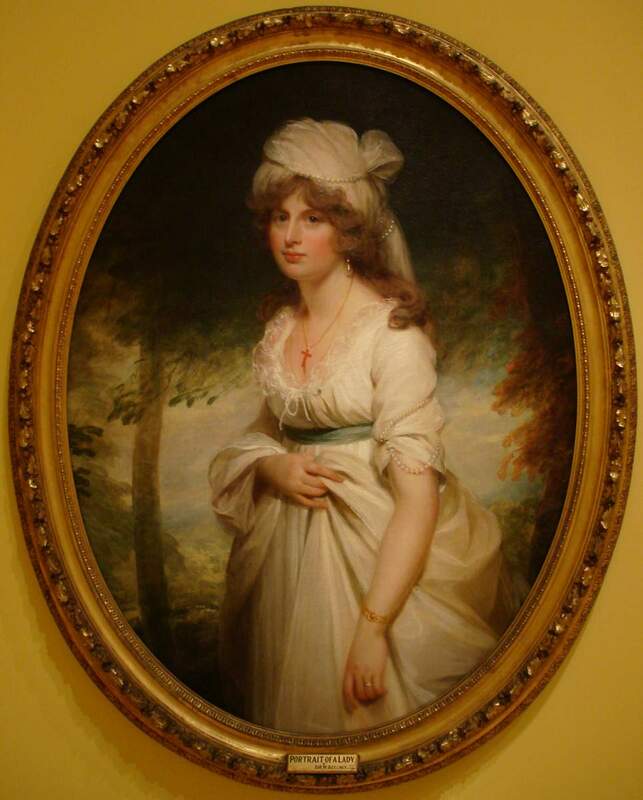 It was with a great degree of excitement that I’d learnt about the National Gallery’s forthcoming acquisition of portraits by Sir William Beechey (1753-1839). I became fascinated with the artist ever since “discovering” him in the process of my M.A. thesis research on British portraits by Franz Xaver Winterhalter. Beechey was among the most prominent portrait painters of the late Georgian period. He enjoyed an extensive patronage of George III and his family; and to this day a large number of his portraits have been preserved in the collection of the British Royal Family. However, with his death at the dawn of Queen Victoria’s reign in 1839, his star began to wane, and as the result he is virtually forgotten today. 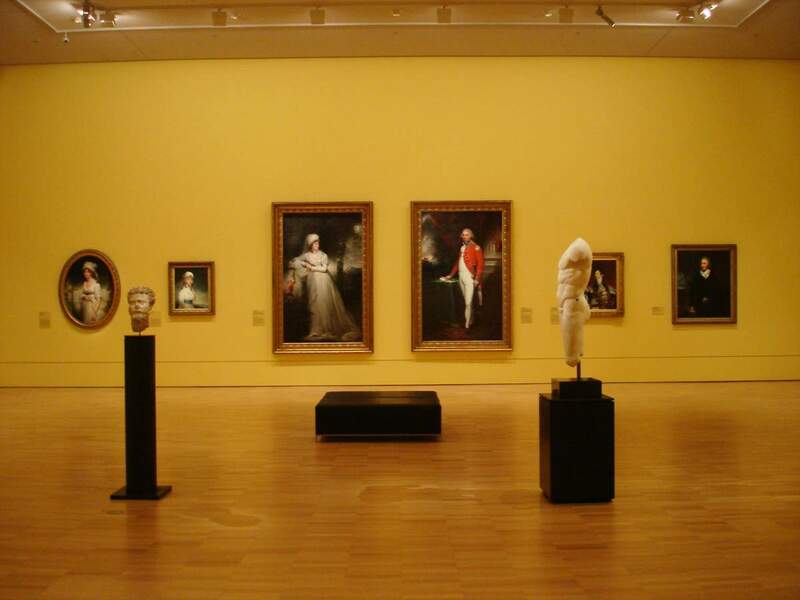 However, the portraits at the National Gallery of Victoria (which by now probably has the biggest holding of his works after Her Majesty Queen Elizabeth II) show why Beechey’s works at the time were judged to rival those of his near-contemporary, Sir Thomas Lawrence (1753-1839), as they were considered to be more truthful and more naturalistic than the romanticised creations of the latter. Under a greatest secrecy I was taken to the restoration rooms of the National Gallery for a sneak preview of the “new portraits” of the Earl and Countess of Stradbroke, as well as a portrait of a lady, which was in the gallery’s collection for a number of years. Before my eyes they were cleaned off the centuries of accumulated dirt and grime, and the yellowish varnish, which mars so many of the Old Master paintings, was gradually removed to reveal Beechey’s dazzling whites, seductive pinks, and a beautiful flowing brushwork and paint application which adds to a sensation of weightlessness of his female sitters’ diaphanous gowns. The echoes of French Rococo are present in these paintings in the way fabrics and folds, hair and jewellery, flower garlands and surrounding foliage swirl around the sitter creating the feeling of a spiral movement throughout the picture. However, the portraits are also imbued with the unmistakeable air of early Romanticism. In both portraits, women are placed in an outdoor setting, which in the annals of aristocratic portraiture not only implies their physical connection to the surrounding landscape in terms of the literal ownership of the land on which they stand, but also a psychological connection to nature, thus evoking a notion of sensibility, which was of great importance in art, literature, and overall cultural landscape of Georgian England (poignantly encapsulated in the novels of Jane Austin). The newly refurbished Regency Room places these portraits within the context of the art and taste of their era, though sadly the National Gallery lacks a really strong representation of Lawrence in their collection to enable comparison between these two formidable portrait specialists who frequently found themselves at odds and in competition with each other, supported as they were by different factions at court, society, and art criticism. (A portrait on far right of the Regency Room was recently demoted as a Lawrence original, and is now believed to be a studio work. 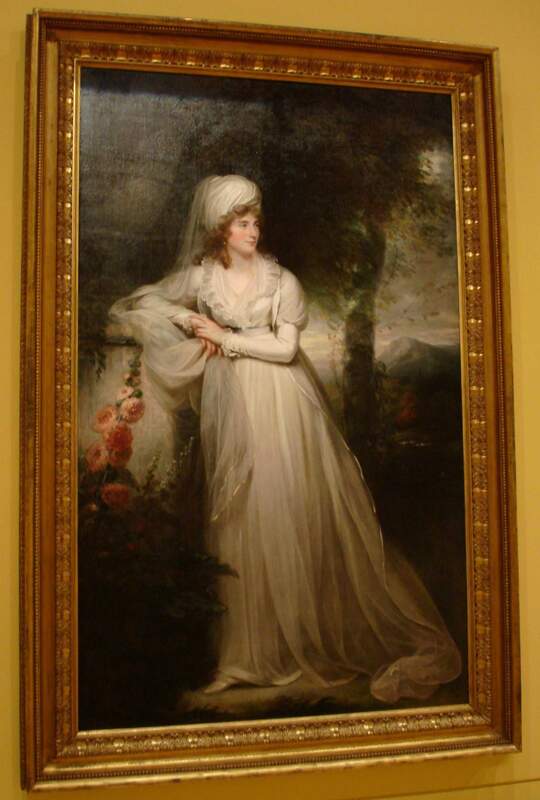 As such, Lawrence is the only significant Georgian portrait painter, not represented in the gallery’s collection, unlike Reynolds, Gainsborough, and Beechey who are all represented by excellent examples of their work).